I talk to a lot of people about Point Of Sale systems each day. All of these customers contacted us to ask about our product because they saw, at some point, value in a Point of Sale system. There are a lot of reasons why some people never progress past the information gathering stage to actually implementing a system. Most of them revolve around money and how tight it can be trying to run a business on a shoestring. I understand completely and I’m the first person to say that we want them to focus on their business and then purchase a POS when it makes financial sense. However, there are also some reasons that are based completely on fear or misunderstanding. So, I thought I’d share three of my favorites here in the hopes of educating people on why these are not always great reasons. 1) I’m too small for a Point Of Sale system: This is a fairly popular one that I hear at trade shows and over the phone sometimes. The reality is that it’s a numbers decision – it comes down to what you do per month and what you think your ROI (return on investment) will be. Virtually everyone I talk to agrees that POS systems will help increase the bottom line and even agree on the 3-5% ROI figure. So the formula is simple (using minimum amounts): 3% of monthly gross / cost of POS. If you are doing as little as $13,000 a month (just $3,000 a week) that equates to a minimum of $390 a month added to the bottom line for ROI. A system that is $5,000 will take a little over one year (1.07) to pay off. A $10,000 system (multiple stations) would take a little over 2 years (2.14) to pay off and that is still just calculating at $13,000 a month at 3% of gross. Don’t forget that after the system has paid for itself, you still keep making that ROI! 2) I heard that it’s a nightmare if they breakdown: This is one of the things that some people are scared of. Usually the conversation goes something like this: “I would really like a POS but my friend has one and when it broke down his store experienced a really bad time”. Can this happen, of course. Is it a reason to not buy a POS? Of course not. When your car breaks down it the same situation – a nightmare. I’ve yet to have anyone sell their car and decide to walk because of it however. They key is to remember the other 99% of the time that the POS helped you out! It’s all in how you plan for a potential problem. Make sure your staff knows what their obligations are and how to continue to take care of customers until the problem has been solved. 3) My staff won’t let me put it in – they would revolt! This is another reason that people bring up. This one also confounds me as it means that your employees are running the store. I hate to say it but typically when this type of store puts in a POS, they discover the employees did not want it because of employee theft, giving away drinks etc. The employees that are not responsible for theft etc are actually really excited to have a POS in the store. Are you one of the people above? If so, it’s ok – we understand and will be patient in talking with you and following up. Different Wages For Different Jobs? Occasionally we run across stores that have a clear delineation between the job the employee is assigned to and the wage that employee will be paid. SP-1 has a clear cut method of dealing with this. Let’s set the example up first. . . Take a typical location that does delivery and dine in orders. In this scenario you may have employees that work as delivery drivers and are paid a lower wage than a cook because they are being supplemented by the delivery tips (hopefully!). Now, to further complicate things, on certain days of the week one of these drivers works as a cook at a higher than normal (for him) wage! With SP-1 you can utilize our Job Class system to accommodate this easily. 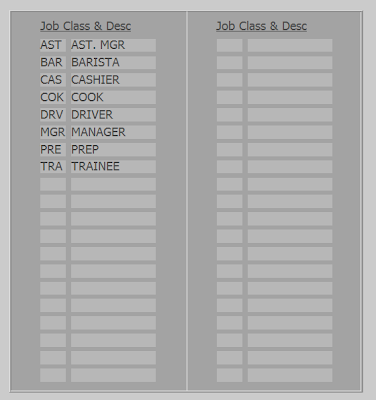 The Job Classes are setup in System Setup. In this section of the program, you assign the three letter id for the job and the more descriptive name on the right hand side. 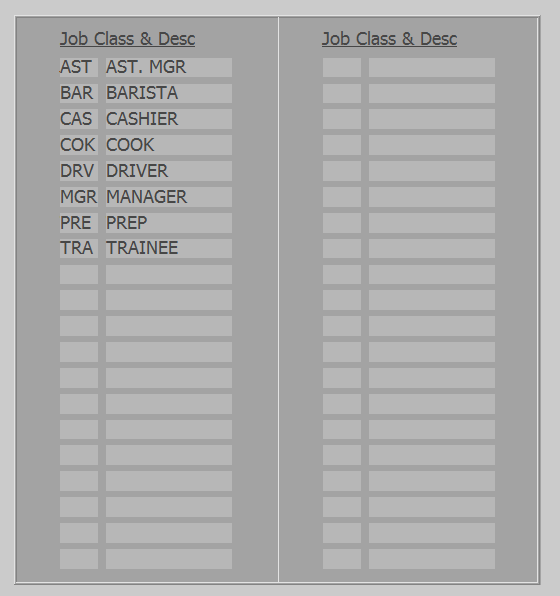 Once you have setup the Job Class names and descriptions, they can be entered into the employee master file. You can enter a custom wage and overtime wage for each Job Class you assign to each employee. Now, when the employee clocks in, they are presented with a choice as to the Job Class they are working under and the wage will be reported correctly on the employee time keeping reports as well. By the way, you can also run a report based on the total number of hours each class worked and how much that cost you. This is a great way to distinguish how much you might be spending on cooks, delivery drivers, counter people etc. How Are You Handling Gift Cards? Recently I have had a couple conversations about gift card programs with potential clients. These are primarily people that do not currently have a POS system. What is interesting is how often customers are confused by their options when looking at electronic gift card programs. Usually during these conversations we focus a lot on how stores are currently handling their gift and reward program and how they got there. Since we have a free gift and reward program we don’t have to worry about costs – just the functionality portion of this. Usually a store does not have a POS system and is looking at adding the ability to sell and redeem electronic gift and reward cards. Around this time, the credit card processor gets involved and will explain all the benefits of a gift and reward card system. That processor will then either supply a terminal or possibly use or upgrade an existing one for the store. Some cards will be sold and then the store is off and running with a gift card system. Sounds simple right? The problem lies in the costs and, sometimes, in the implementation when using a credit card processor or 3rd party solution for this situation. This is almost always incredibly expensive to the store owner and usually not the best way to go. Here at SelbySoft we work hard to make sure store owners understand what kind of fees and troubles they may experience if they are not asking the right questions when talking about gift and reward programs. There are a couple of questions that you absolutely must ask when looking at any 3rd party gift card solution. What are the monthly fees? Most programs will add anywhere from $0 to $40 a month per location to process the gift cards. Are there swipe fees? A swipe fee of $.10 to $.25 a swipe is pretty common with 3rd parties. Additionally most stores are not aware of what constitutes a swipe. With some of the systems out there there is a swipe for checking the balance, loading a card or using a card. How much are the cards and are can they be custom? Cards are over $1.00 a card for a partially custom card with some processors. Others won’t do a custom card at all. Is there a contract for processing gift cards? This is a big question. Credit Card processors will sometimes leverage the gift card information and contract to keep you from swapping credit card processing. Always make sure you know what you are getting into with the contract. What happens if you decide to switch gift card processing? In some ways this is a bigger question than all the others. Make 100% certain that you retain rights to the gift card numbers and the balances. This last question deserves some more explanation. Let’s say a store has implemented a gift card program through their credit card processor. Now, a year or two pass and the store has sold about 2,000 cards in total. The store now adds a POS or even just wants to switch credit card processors. What happens next is very important. If this store is locked into a contract with the 3rd party gift card provider they may be stuck. The provider may tell this store that they have to fulfill the rest of the contract or even pay a cancellation fee to get access ot the gift card information. If the provider does not allow access to the numbers and gift card balances, then the gift card data may be useless to other companies. That means that customers have to be re-assigned cards or crew members have to look at a paper list to see what the value is. There are plenty of examples of this happening in our experience. A few years ago we had a chain of stores that had over $40,000 in gift card balances at any given time between the locations. When they added SP-1 as the POS provider, the credit card processor would not release the gift card numbers or balances because of the contract that had been signed. They pushed the customer to either pay a whopping fee of $2,000 to get out of the contract or to continue to pay the combined fees of almost $200 a month until the end of the contract. Six months went by before the store could swap over the gift card processing. I know this may sound a little negative but it’s important to ask these questions before implementing a 3rd party gift and reward program. Not all 3rd party, credit card or POS companies operate this way. Some, like Mercury Payment Systems, operate on a month by month contract and handle the gift card system free of charge as a value added solution. Of course the best way is to buy the POS and implement the free gift card solution – sorry couldn’t resist!! After my last blog on Job Classes, I was thinking about the other use for them. Tracking how much training you are doing! Each employee can be assigned up to five (5) Job Classes. Each of these Job Classes has a description and a separate wage and (if you accomdate it) an overtime wage. So, once these are assigned to the specific employee, they appear on clock-in. Your employee then selects what Job Class they are working for that time period. There is a great secondary use for this feature however – Training. We have a number of clients that take the training of their employees pretty seriously and want to make sure that employees are up to speed before they are being paid fully. It’s a pretty common idea in a lot of businesses. For example, you may require that an employee work a certain number of hours as a barista trainee before getting a raise. Or, you might require a certain number of hours on the clock after being hired before that employee is past their “probation” timeframe. We do it here at SelbySoft and it helps us in making sure that the employee and the company are on the same page. For anyone that is interested in how we do it, we have a three month evaluation and training period before any raises and before the rest of the guys stop referring to them as “that new guy” and actually use their name. With SP-1 you can create a training Job Class that is used when that employee clocks in each shift. That will allow you to effectively track how much time was spent on training in that job. SP-1 will report that on the time keeping and also report the total training time your store utilizes over a set time frame. This is a really great feature to help track and control your training programs in your location. Last blog I tackled just a few of the questions that people ask once they have our SP-1 POS system. Since I have been out doing trade shows over the last few months, I’ve tried to pay attention to what questions we are asked by people looking to buy a POS as well. Outside of the obvious ones about ease of use, price and functionality, there are some questions that we get fairly commonly. Gift Cards: Are they free? Do they work as reward cards? Yes. Our gift card services are free and included in the software. The cards work as a gift, prepaid, discount and reward card. This is one of the best ways to gather marketing information as well. I covered some of this in an earlier blog. Quickbooks: Is there an interface? How do I get the information out and to my accountant or bookkeeper? Our Quickbooks interface exports the information out where it can be transferred via email or flash drive (usb device). We do it this way because the majority of our customers have Quickbooks installed in a location other than their store. Training? This is a great question we are asked all the time at shows! Yes we provide training. 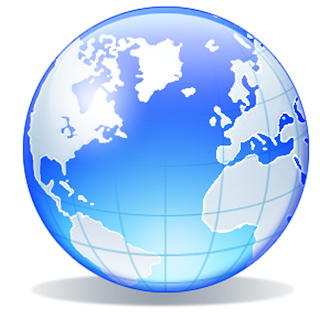 We typically offer a full year of software support and training with every system we sell. Our Customer Service Technicians can train remotely with GotoMeeting and Logmein Rescue tools. That eliminates the need for a costly on-site visit. If on-site is really required, we can supply that as well. Can I use remote printers or monitors? More importantly can I control where the items go? To us this is a simple thing and one we may sometimes neglect when talking about SP-1. We do have the ability to use multiple printers or remote monitors. These can be used for food or beverage service. The great thing about SP-1 is that we can determine where the items go – sandwich to the sandwich printer, grill to the grill printer, coffee to a barista printers etc. Does the system support multiple tax rates? I’m not sure why this comes up often but we do it. We support five tax rates per menu group as well as non-taxable sales. Is customer tracking available? Completely – we can create customer profiles, track 10 phone numbers and email addresses, four physical addresses and more. This also allows you to tie in marketing to your customers. There you go, a little over a half dozen popular questions! In the last couple of weeks, I have attended two trade shows. These were my last two until October and they are aways an eye opener. Trade shows are a fun part of my life in a lot of ways as they remind me just how many people are committed to these industries. It’s always a great recharge for me as well because people get a chance to see our passion for our customers and the products that we sell. To us, one of the really interesting things that come up is the questions people ask. There are really two sets of questions. . . Ones that people ask before they buy a POS and ones that they ask after they already have SP-1. Do you have to have all those reports on the Business Summary every day? How do I easily see the credit card tips at the end of the shift or day? Am I set for California Overtime calculations? Yes, there is a specific switch for the overtime calculations in California. That can be found in Reports | Reports Setup 2 | California Overtime Calculation. Does SP-1 support inventory control? Yes! We have a full inventory control system! Cost of good sold analysis, food and beverage portion control and variances are all tracked. Can I have a non-taxable customer? Create either a customer for each incident or a generic “non-tax” customer and then make sure the taxable button is not checked. These sales are reported separately on the business summary. Next time I’ll cover some of the questions that we are asked before people make a purchase! Backups, Backups, Backups (You Can’t Say It Enough)! Be honest, you don’t backup regularly do you? We know it’s tough to admit out loud but experience shows that most of you don’t run your backups. To those of you who do, kudos and a question – when is the last time you checked it?? Customer opens DVD-RW drive and in place of a backup disk – a music cd. Customer goes to restore a backup and finds that the disk was full a year ago! Tech asks customer about backup. Customer responds with – what does that mean? When asked about backups, customer responds with “we do one every year”! These are real world scenarios that our support department addresses every day. These don’t even include the people that have fires (yes it happens), hurricanes (sand and water do not help computers), employees that damage machines (employee quits and kicks the machine over), theft (people steal the whole computer), and so on. And we all know that when you need the backup – you really need it! It’s much easier to convince your insurance company with copies of all your sales history readily accessible. Are you taking advantage of our Online Backup? Do you even know it exists? Did you know it is FREE while on a support plan? If not, you are missing out on a fantastic part of our support! A couple of years ago SelbySoft thought about this long and hard. We came up with an online backup and now offer that to every single customer on a support plan free of charge! This service allows you to sign up and have your information transmitted from your physical store location to our secure server at SelbySoft. The transfer happens automatically at 3am every night regardless of employee interaction. This allows us to insure that in the event of a catastrophic failure (lightning, fire etc) we still have a copy of your information! Now, this does not mean that we want you stop doing any backups in the store! Remember, your SP-1 system can (and usually is) setup to perform a backup on site in two ways. First, we copy all of your information from the main computer to a second computer in the location and then we copy the information to your cd/dvd backup as well. These are all great ways to insure you have a full system backup. Remember – Backup, Backup, Backup! And if you have any questions. . . Call us. Talk about a little used but incredibly powerful part of SP-1. This included feature does typically require an additional user license and computer to take advantage of it but the rewards can certainly outweigh the costs! So, what is it? Order Processing allows you more effectively control your make (food or drink) line and insure better customer service. This is accomplished by effectively tracking the time it takes to prepare items. As a side, this system can also provide a reasonably accurate quote time printed on a customer receipt or displayed on a screen. It’s all accomplished by sending every order (or basing it simply on one menu item) to an Order Processing monitor that is located by the make line. So, once the crew has gone through and made the order (based on the printer/monitor) then they will mark the line off the Order Processing monitor. The numbers on the far right show how long it has been since the order was placed. Once the order is marked off, SP-1 can calculate a quote time based that! Think about it. . . you would then have an accurate time to quote your customers when they ask how long a wait is! There are more benefits to this system however: Order Processing gives you the ability to see how well your make line is doing. This happens because as the items are made and ready to be handed to the customer or put in the oven, the employee will mark that the order is done. This then let’s us know what the average time it takes to make an order is. The above is a sample report from the Order Processing system. We provide, by the menu group and by the hour, the average, low and high quote times for the day. We have customers that love this option as it allows them to focus on making the kitchen or barista line more responsible for getting orders out quickly and eliminating the bottlenecks in the order process.